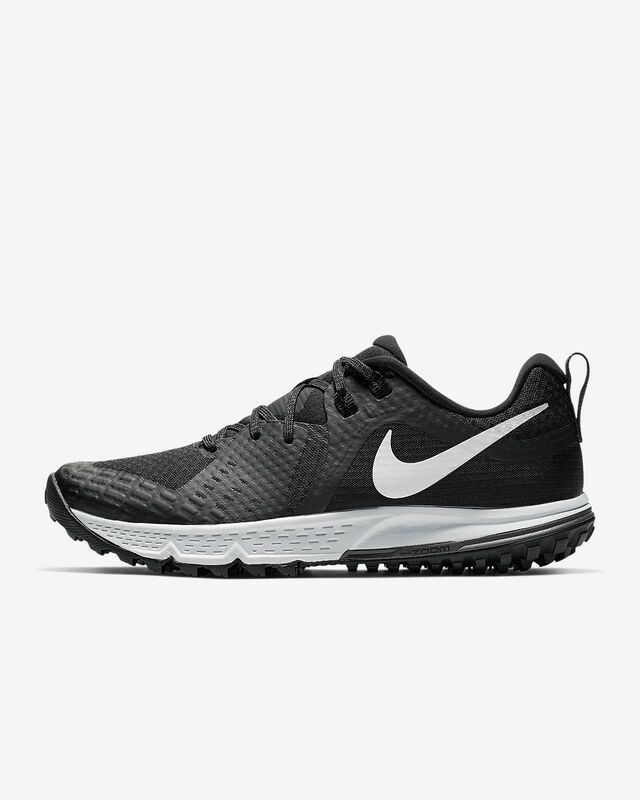 Built specifically for trails, the Nike Air Zoom Wildhorse 5 keeps you galloping over rough terrain in breathable, multi-layer mesh. A rock plate helps shield your foot, while a Zoom Air heel unit cushions your stride on and off the path. Multi-layer mesh in the upper wraps your foot in lightweight breathability. Rock plate in the midsole helps shield your foot from rough terrain. Grippy outsole lugs are made for shedding mud. Zoom Air unit in the heel adds to low-profile, responsive cushioning. Sticky rubber at the centre of the forefoot provides excellent wet-surface traction. Have your say. Be the first to review the Nike Air Zoom Wildhorse 5.